After the interview, should you follow up over the phone? ... I think you definitely should; and here's a voicemail script template you can use to put your best foot forward. Sometimes it's hard to pick up the phone because you don't know exactly what to say. Or you start making excuses not to call by building up some scenario in your mind — like the hiring manager is too busy, or you will be calling at the wrong time, etc. Don't let those thoughts stop you. OK, even if you forgot that step, I always recommend following up with a phone call about 3 to 5 business days after your interview. Afternoons are good, and so is around 6 or 6:30pm. 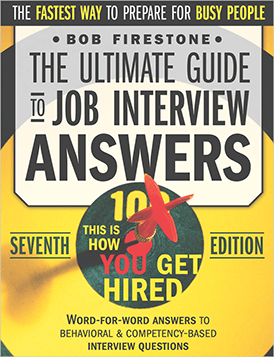 Try to reach the person who will have the most impact on the hiring decision and/or the person who you connected with the best at the interview. Before you call, assume that you are going to get voicemail. If the person picks up, begin your call with the exact same script I'm about to share with you. You'll be using it as your "opening statement." Why use a scripted opener for your interview follow up call? Because every second counts. Every word counts. With the limited time you have with the hiring manager you must say the most powerful things that are most calculated and most likely to get you a job offer. Don’t confuse using a script with “sounding too scripted” or “too salesy.” Using a script is just using what works. It’s about being prepared. The more prepared you are, the more successful you will be. They probably saw a lot of candidates. You want to refresh their memory with the benefits of working with you. This is another chance for you to “put in a good word for yourself” or even add something you may have forgotten to say in the interview. Start by crafting the best possible opening statement. Create it, write it, re-write it and practice it out loud — over and over until you “own” the words and can deliver it naturally, with confidence and conviction. What you create will act as your opening statement if you reach the person, or your message if you go to voicemail. Indicate what you do, and briefly, the experience you have. Give 3 metrics-based achievements from your work experience. If you get them in person, after your opening statement, ask if you can continue, or ask to schedule a phone meeting to continue the call. "Hi this is Jason Jones. You and I met last week, and if you remember, I am an ____________ and I help companies to ____________ and the project teams I've worked on have achieved Huge Benefit A, Awesome Result B, and Significant Achievement C. You might recall I've held positions with increasing levels of responsibility at HugeFirm Inc. and ImpressiveCo ... and like we talked about, I think that's the type of experience you're looking to bring to your team. I'm following up with you to show some initiative because I do think I'm qualified and I sincerely hope you'll end up extending me an offer. Can you please give me a ring back or shoot me an email to let me know where you are with the hiring process? I'm at 555.123.1212, that's 555.123.1212. Thanks Mike, please do keep me posted. Bye bye." This might sound like a mouthful, but it’s very powerful. Remember, you are trying to relate a lot of positive information about yourself in a short amount of time. Ok, let's take a look at the script. How to describe “what you are” and what you “help companies” to do. (The first two “_____” blanks above) — refer to yourself as an expert, and tailor “what you do” to make it as relevant as possible to the job. "I am an accounting professional and I help companies to streamline their ___________." (use whatever information you learned from the interview; something they need help with). "I am an operations expert and I help companies to achieve greater manufacturing efficiency." "I am a professional executive assistant and I help busy executives stay on top of their most important tasks." "I'm a marketing executive and I help companies achieve better reach into their vertical markets." "I am an auto repair professional and I help shops keep customers happy by doing the job right the first time, and doing it fast." "I am a retail professional, and I help keep the store environment operating efficiently." Be specific. These are your STAR statements broken down into simple one-liners: Huge Benefit A, Awesome Result B, and Significant Achievement C. These should almost always include some type of metric (a number or a percentage) — even if the math is a bit fuzzy. "Decreased cost of ABC by XYZ%"
"Helped reduced processing time by 33%"
"Was able to assist customers 20% more of the time"
"Came up with half a dozen more options when it came to their XYZ strategy." "Contributed to increasing revenue by 23% within 6 months." "Helped decrease turnaround time by 1/3." "Eliminated expenses to keep our cost down by 15%"
"Reduced XYZ usage by 45%"
Refresh their memory about where you have worked. Just copy the above example and start filling in the blanks to write your opening statement. Now re-write it. This is important. Having this type of opener / voicemail script totally perfected so that you are totally confident in delivering it will go a long way in helping you land the job you are looking for. — Understand that should always follow up over the phone after your interview, and you should always be prepared with an opening statement / voicemail script that you are totally comfortable delivering in a natural sounding way. — Copy the example in this article, paste it into a fresh word doc, and start filling in the blanks. Read it out loud and practice it and rewrite it until you are good at it. — Start making those calls! … As you make more and more calls back-to-back, your momentum and your confidence increases. Did you like this article? Please share.